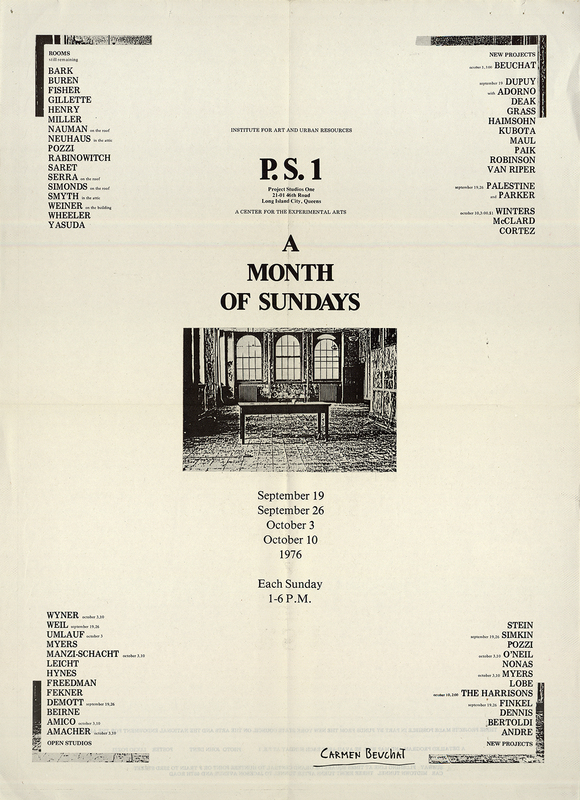 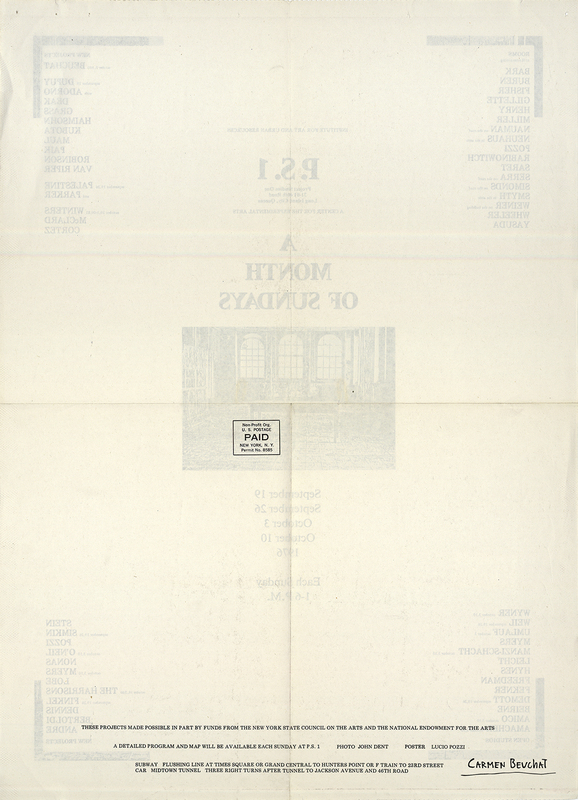 Poster of “A Month of Sundays” at P.S.1 (Project Studios One), 1976; participants: Bruce Nauman, Alan Saret, Richard Serra, Carmen Beuchat, Jean Dupuy, Olga Adorno, Nam June Park and Richard Nonas, among others. 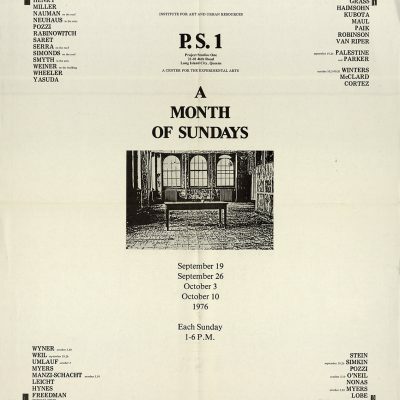 Project financed by The New York State Council on the Arts and the National Endowment for the Arts. 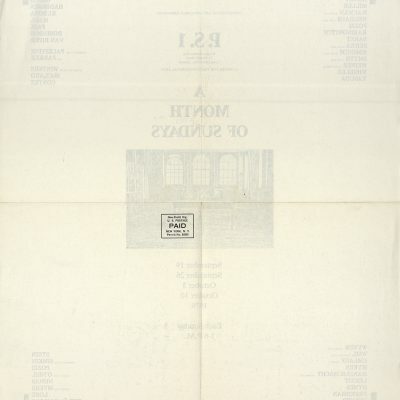 Physical Description: Poster 42 x57,8 cm.